The Mercer County Sustainability Coalition suggests that you keep the green theme on St. Paddy’s Day weekend and attend the Mercer Green Fest on Saturday, March 18th! The Ewing Green Team invites all Ewing residents to join them at the 11th annual green fair in the Mercer County area, the Mercer Green Fest, formerly called the Living Local Expo! The festival will be at Rider University’s Student Recreation Center located on the main campus in Lawrence Township. It is free and open to the public and will run from 11 am until 4 pm. The event will feature live entertainment, local sustainable businesses, sustainable community groups, and a farmer’s market, local fresh food at our lunch café, demonstrations, and speakers throughout the day. There will be fun for the whole family! More than 70 eco-friendly businesses and organizations will be offering information and incentives to help you go green and save money. Visitors can learn about a wide variety of sustainability issues and exciting community projects such as bike trails, food waste recycling programs, energy efficiency, electric cars, health, exercise & wellness, and science fair projects from area schools. Don’t’ miss the Ewing schools, represented by the Ewing High Robotics Club and the Antheil Garden Club. 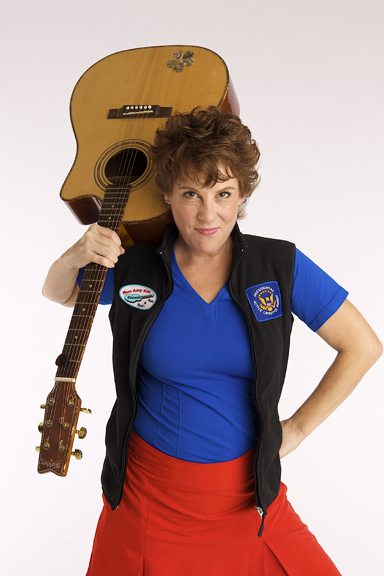 Miss Amy, Ewing’s own GRAMMY Nominated Artist Author/Educator, musician and Fitness Pro, will rock and roll with the kids at this year’s Festival from 11am -12 noon. Eyes of the Wild: Traveling Zoo will take the stage from 1 pm – 2 pm and introduce children of all ages to a selection of exotic and touchable animals. The Grand Falloons will put on their recycling and a science show with juggling, magic, comedy, song and dance from 2 pm – 3 pm. The local farmers will be on hand and have a great array of fresh fruits and vegetables as well as flowers, plants, herbs, and artisan food products for sale. A family friendly lunch celebrating locally grown and seasonal ingredients will also be available for purchase all day. This year’s Green Fest is a celebration of what we can do locally to advance our neighborhoods’ environmental quality and sustainability. You can help reduce the negative impacts of global climate change by acting locally in how you use energy in your home and business. This will also save you money in your energy bills over the long run. This year’s speaker program will highlight energy sustainability as well as provide a couple of thoughtful additions on climate change and fracking. Saving money and energy at home through New Jersey’s Clean Energy Program. Three presentations on going solar for your home or business. We encourage Green Fest visitors to attend these short presentations and stop off at a table to learn more. Then turn these suggestions into actions! Art is an important part of a sustainable community! Everyone can have fun with our Art all Day area designing creative art and crafts. Art Has No Boundaries, a Ewing art organization dedicated to promoting the arts in our community, will insure a great time for all at the crafts table. The Rider University Schimek Family Fitness Center will be open and some lucky visitor will get a free year membership! Bring your whole family, meet your neighbors, enjoy the afternoon and learn how Mercer County area residents and businesses are building sustainable communities. For more information about the Mercer Green Fest go to mercergreenfest.org. The Mercer Green Fest is organized by the Mercer Sustainability Coalition, a partnership of green teams, environmental commissions and sustainability organizations in Mercer County. The Ewing Green Team is a founding member. For more information contact the Ewing Green Team at ewinggreenteam@gmail.com. Previous Previous post: Mercer Green Fest – Fun for the Whole Family!